Today was tragic. Incredibly tragic. As a preschool teacher, seeing such a horrible act within a school of innocent children is absolutely heartbreaking. 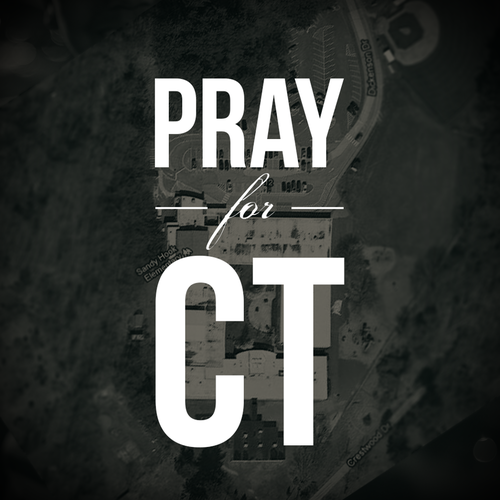 My prayers, thoughts, and heart go out to those affected by this tragedy. I spent the day with my students, hugging each and every one of them for longer than necessary. Laughing with them over nonsensical things. Finding joy in the simple activities like coloring and making crowns out of construction paper. I appreciated every minute I had with them. Life is about appreciation. We often forget to find happiness in the smallest of things. We overlook the simple moments. We must remember to cherish every minute we have. Life is one amazing experience, that can be taken away in a quick instance. We must continue to send love into the world, as crazy and terrifying and awful as it seems. We must continue to pray for those who suffer. We must send all our love to every person who has lost. We must continue to have faith in each other, even when it seems impossible. We must be the good in this world. We must do this for the innocence that was lost today. Send every bit of love and strength that you have to the families who lost their loved ones. Brianna - thank you for posting this. I'm an elementary teacher about 40 minutes from where this happened (A year ago I actually had a job interview there). My heart is broken and I've been crying since I heard. As teachers we definitely have to remind our students there is still good in the world - teachers like you definitely do that!